Display image shows a 1.5″ wide x 5.5″ deep x 8″ high/tall size. Single Brace.All wood products are unfinished.In Stock. Ships within 24 – 72 hours of order placement. 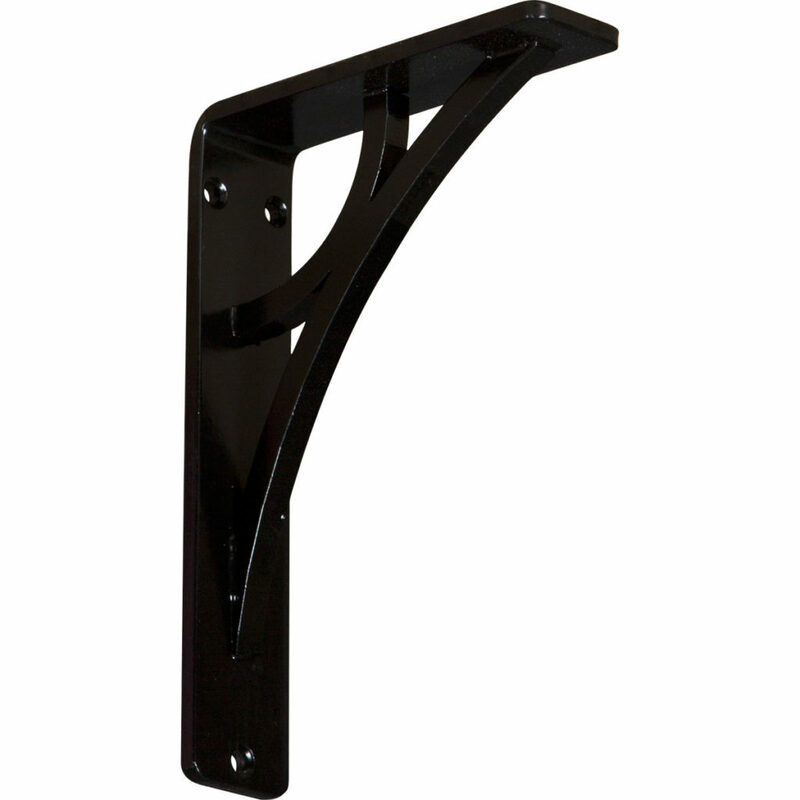 Wrought Iron Brackets provide an alternative to wood brackets and corbels and have an authentic Iron Bracket look & feel.By using Wrought Iron, designers can create intricate patterns, not normally possible with wood.Our heavy duty Wrought Iron Brackets are load-bearing and can be used to support several types of countertops including granite countertops.With over 20 styles available and multiple sizes, you’ll be sure to find the perfect bracket for your application.Pre-drilled mounting holes for easy installation.Can be used to support granite countertops. Perfect for countertop & shelf spplications.